1h30 south of Guilin in the Guangxi province, south of China, Yangshuo is a place I enjoyed a lot when I visited last January. 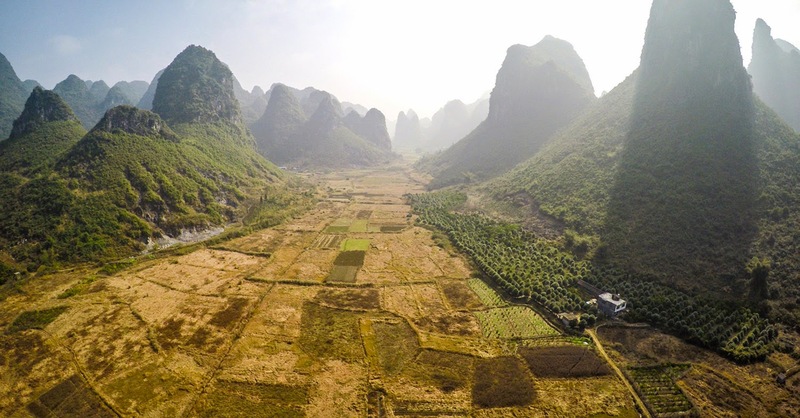 I spent 1 week there including 2 days in XingPing, a small village on the Li river close by. 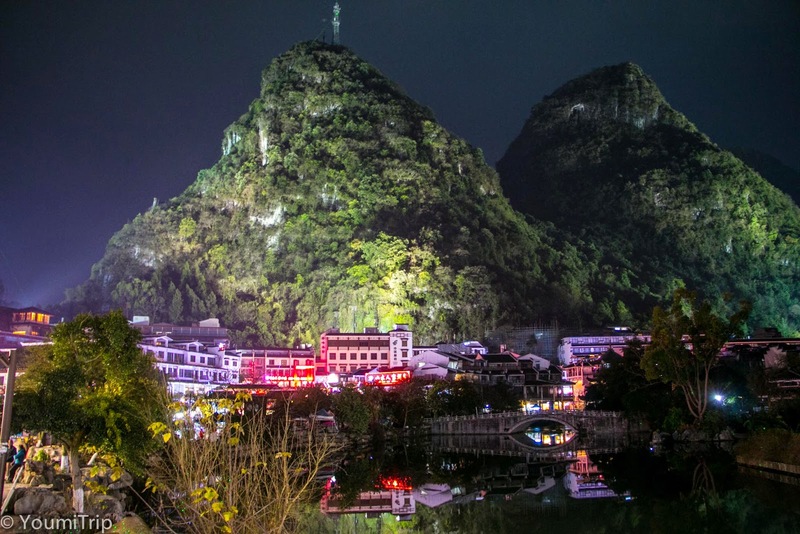 There is many buses every day between Guilin and Yangshuo so you won't have any problem getting there. 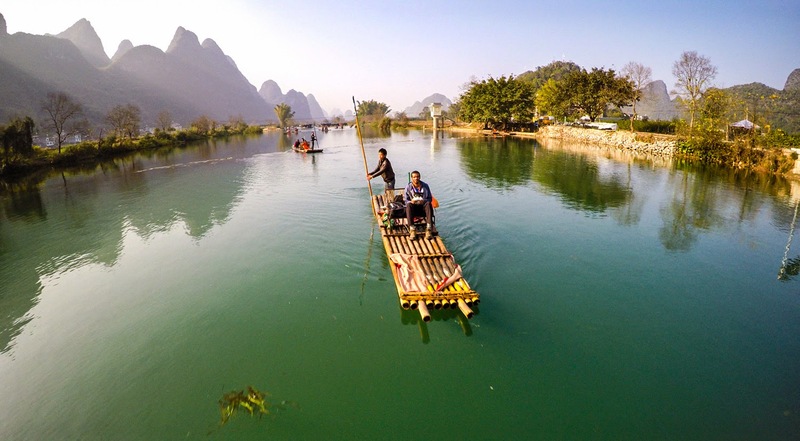 There is also the option of taking a cruise on the Li river. I got there by bus and stayed in a hostel. The first thing that stroke me when I went out to discover, is the amount of places where you can find "western" food, as in non-Chinese food. West street which is the main street is full of those places. 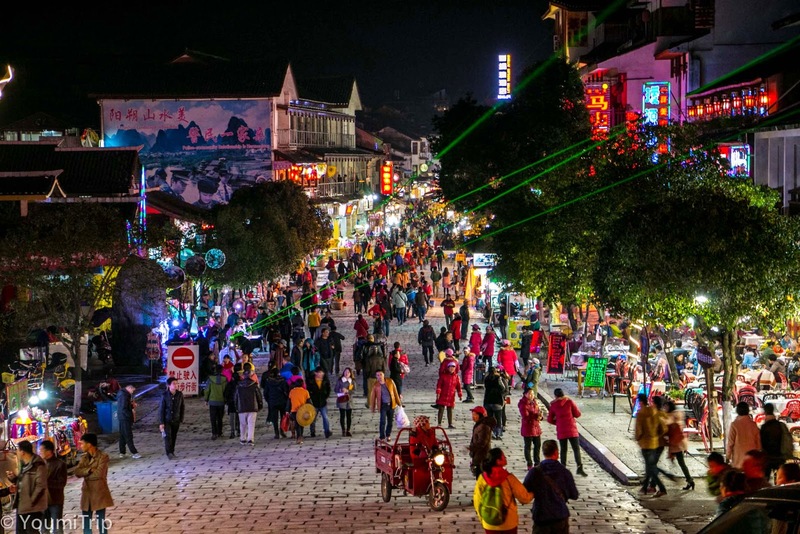 And Yangshuo is not that big of a city but it seems to be very popular in tourists destinations. And I can totally understand why. The surroundings are just amazing. For starter I went to Moon Hill, a 30-40 minutes bike ride from the city. After that it will take you another 30 minutes to get to the hole of Moon Hill. You might also want to take the other path that will give you a good lookout point. From up in the hole, you have an incredible view of the surroundings and the kast landscape. I flew my drone to get a nice aerial view. I did a little dronie - it's when you fly your drone backward starting with the drone close to you and facing you - which turned out to be pretty cool. 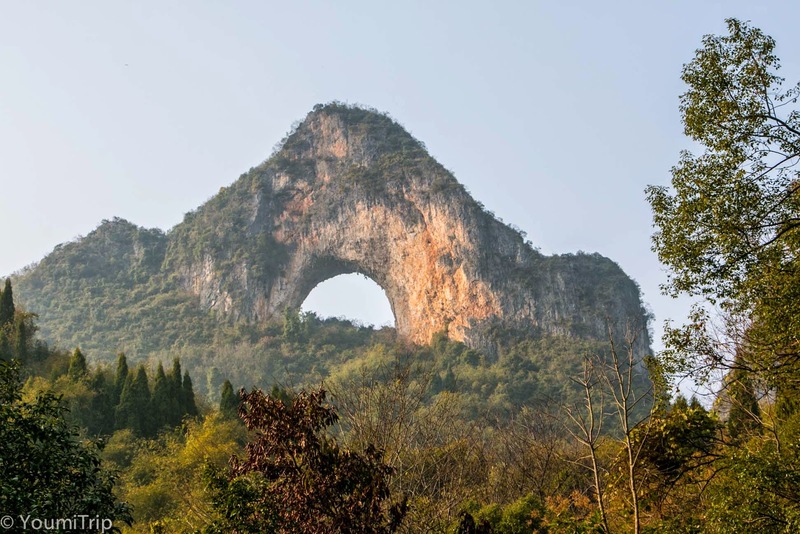 Not far from Yangshuo, is XingPing. A small village about 40 minutes by bus. This is where you will find the spot that you see on the 20¥ bill. I did a hike along the Li River there. The first one and a half hour does not really goes along the river but it goes through small villages where you can see locals working in their fields. They have a lot of Orange trees and at this time of the year the trees were full of them and it looked very pretty. Then I reached the first river crossing. It'll cost you 10¥ to cross on a small boat. It's very quick, just a couple of minutes and you might spend more time actually waiting for the boat. Then the path follows the river and it offers a very pretty scenery. 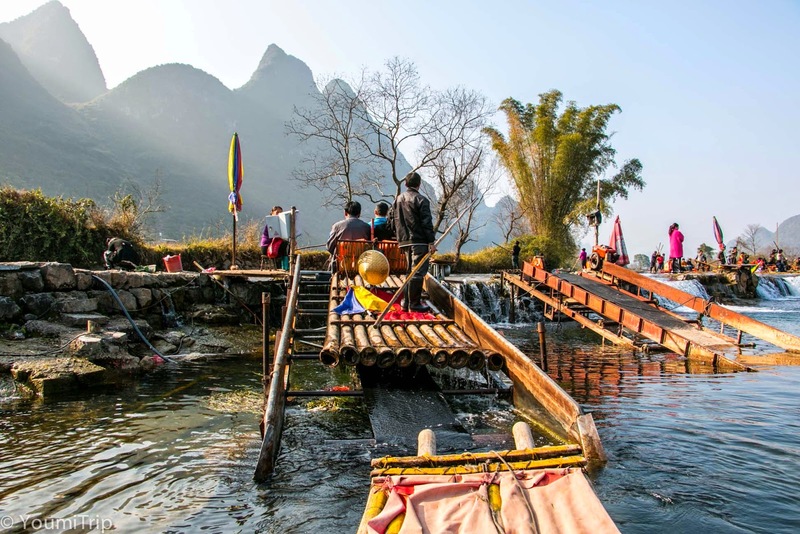 Unfortunately, the Li river has become very popular and is very noisy; The bamboo rafts have been replaced by rafts made of plastic tubes and are even motorized. On top of that you have cruise boats going to and from XingPing. 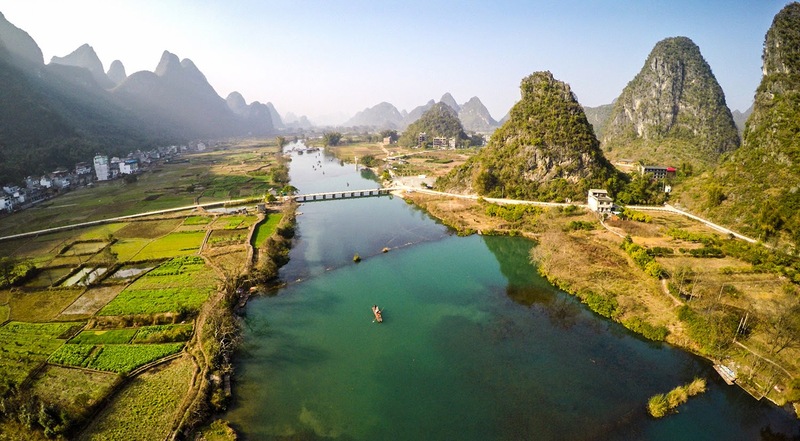 That's why I think you should forget about the Li river, and go to the nearby, less crowded, smaller, but none the less beautiful Yulong river. I biked there twice and both times I had a blast! hiking along the Li river was very nice but biking along the Yulong river and the surroundings was just breathtaking. On this river bamboo rafts are authentic and are powered by people. Don't get me wrong, it is still quiet touristic. and when doing a bamboo raft cruise for an hour, you will take the same path as many other people and they have even installed floating photo booth at some point on the river where photographer can take your picture if you want. But even with all this, it is very easy to find yourself alone on a small path in the middle of all those karst hills. 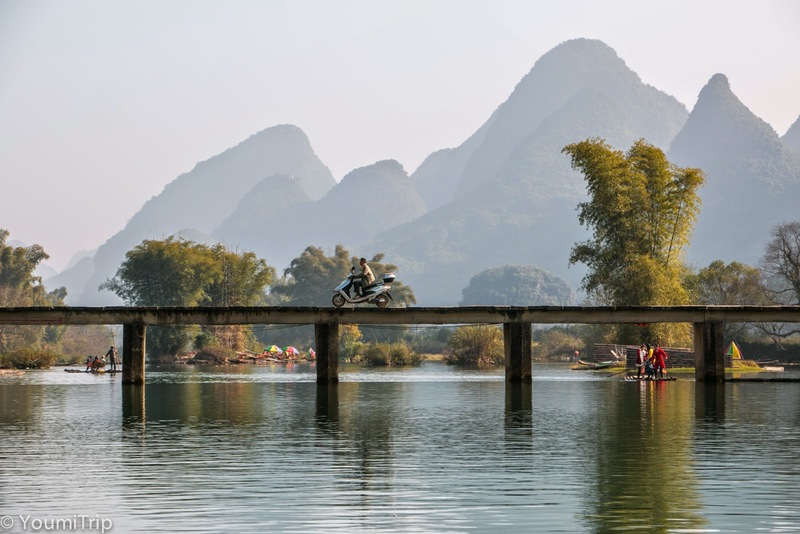 On the yulong river you can go to the dragon bridge. Nothing really special about it, I was even surprised how small it was. but the small village it's in is quiet nice and is worth a visit. 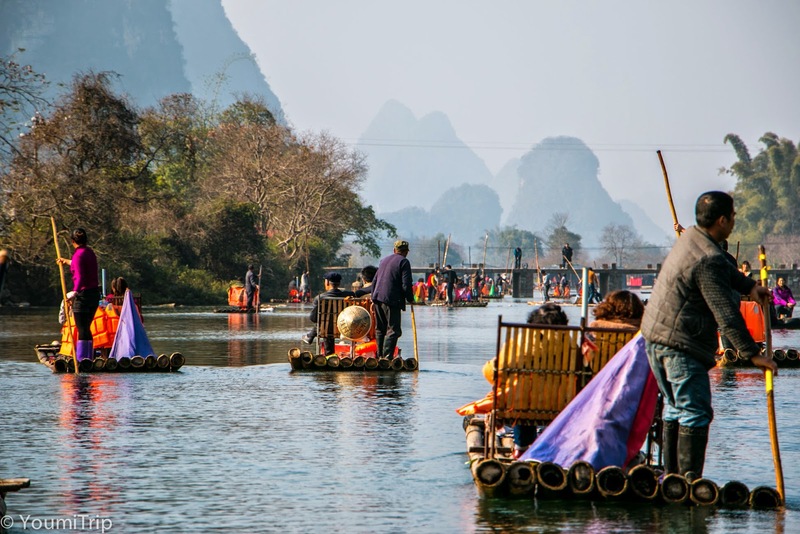 Even with a lot of people, a bamboo raft cruise on the Yulong river is nice. Yangshuo and its surroundings has been my favourite place of my 2-month trip in China. 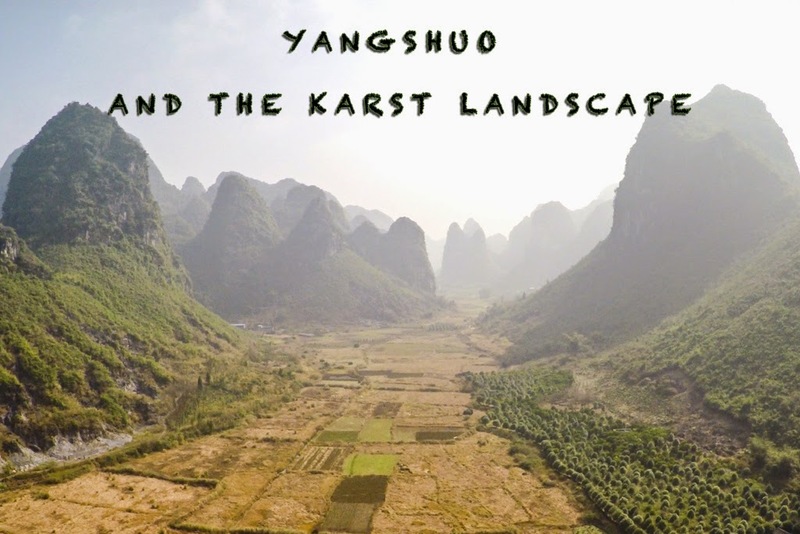 The karst landscape is really amazing and riding through it along the Yulong river was definitely the highlight of my stay there.